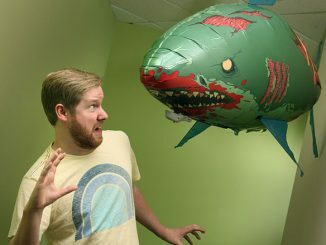 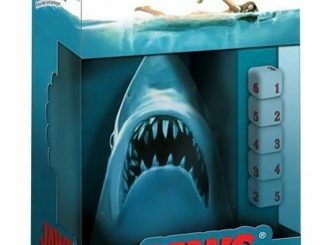 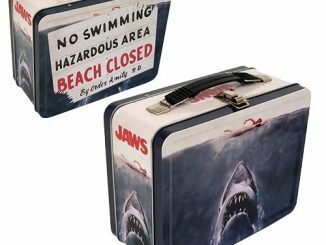 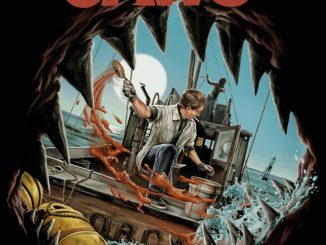 No action figure set is complete without this Jaws Great White ReAction Retro Action Figure. 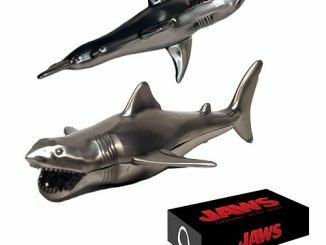 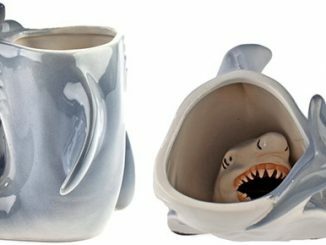 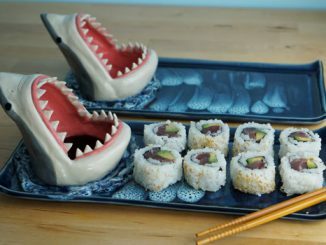 At last you can add this great white to your collection. 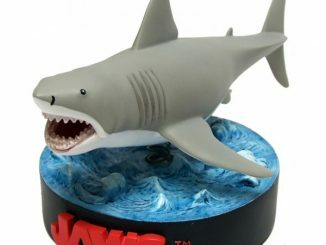 This Jaws Great White action figure measures 10-inches long and is a real man-eater. 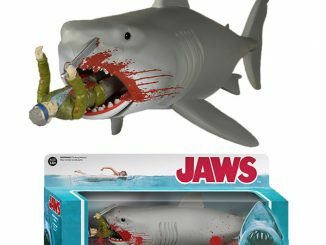 Seriously, make sure it doesn’t eat your other action figures. 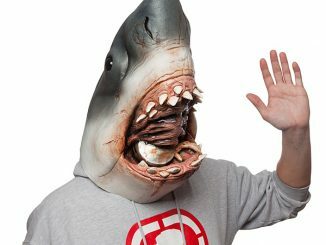 You may come home one day to find Batman in his stomach. 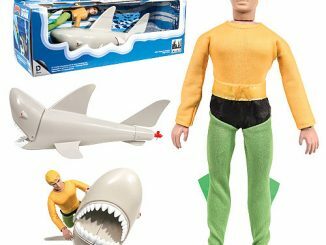 This cool action figure of Bruce the shark is only $13.99 from Entertainment Earth. 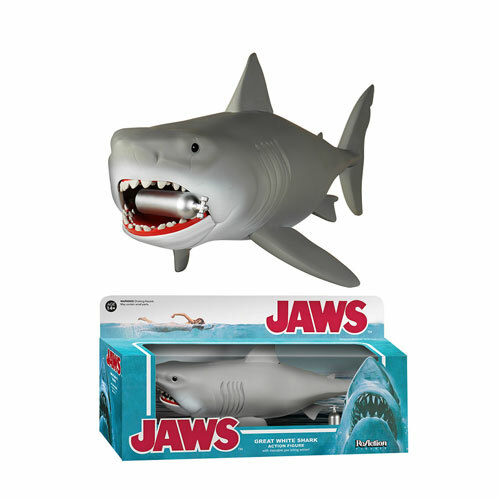 You can pre-order him now and he ships in July.